83 people have viewed this property this week. 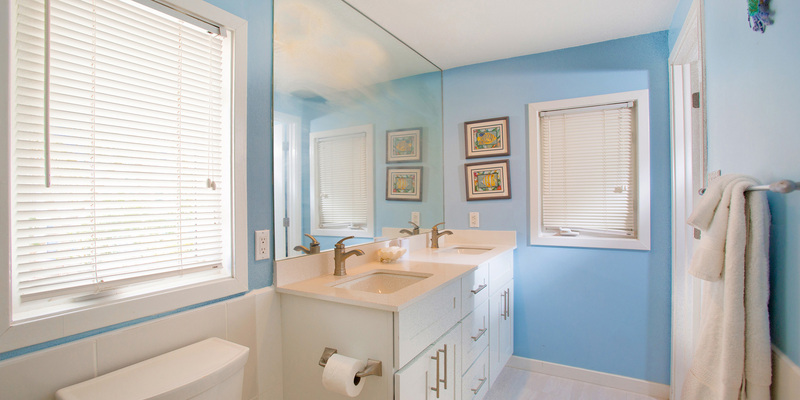 Two Rainbows is one of our most popular 5 bedroom villas. 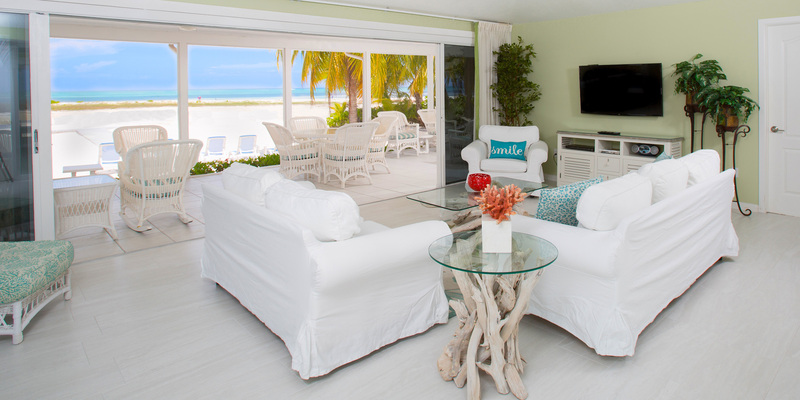 Located in Cayman Kai within the turquoise waters of the North Sound, Two Rainbows offers the sought-after combination of a white sand barefoot beach, panoramic views, an oceanfront freshwater pool, and plenty of privacy. 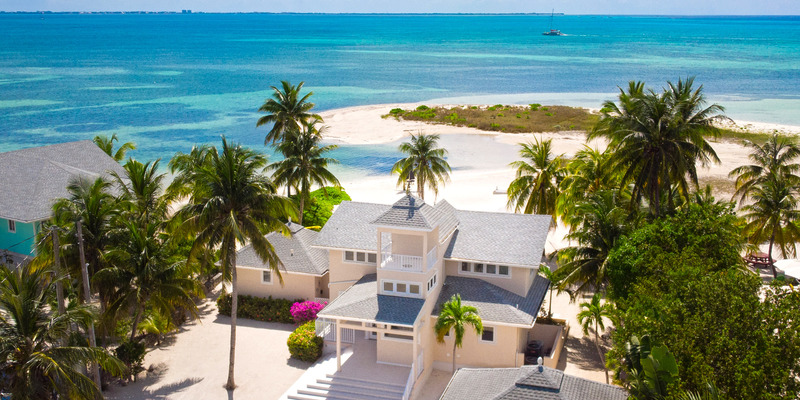 The most unique feature of Two Rainbows is the villa’s location on the tip of Cayman Kai providing an unobstructed view of the sparkling Caribbean waters. 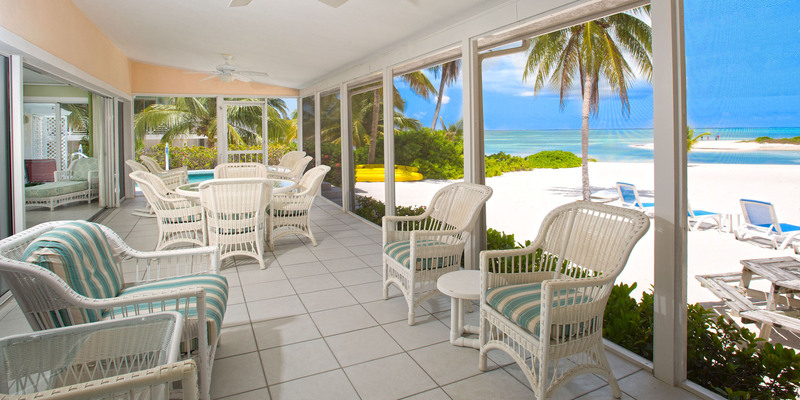 Guests can enjoy beautiful sunset views from the villa's large screened porch. Two Rainbows offers an ideal floor-plan for family groups. With three downstairs king suites for adults, and two twin bedrooms upstairs for the kids, everyone can spread out and relax without stepping on each other’s toes. 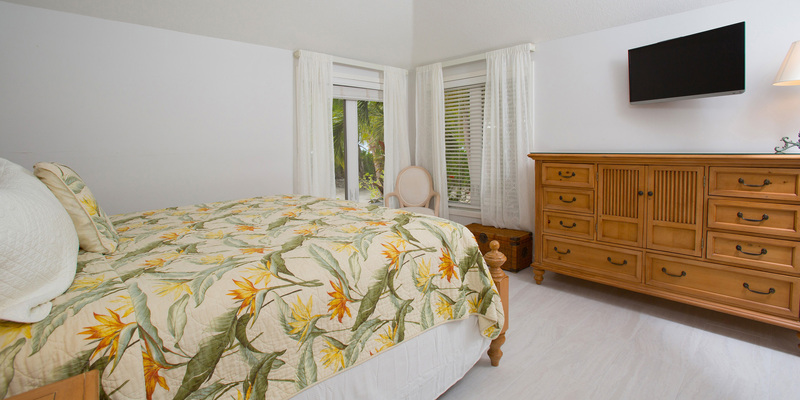 Two of the master suites have televisions, and both of the upstairs bedrooms offer private screened porches. 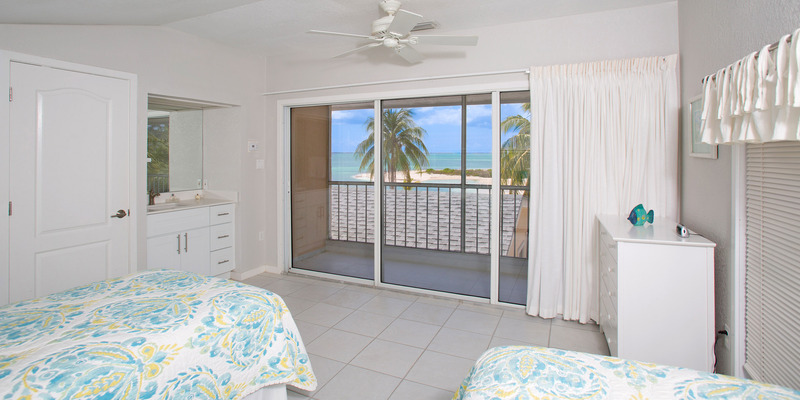 Four of the five bedrooms feature ocean views. Two Rainbows offers awesome ocean swimming in crystal clear water with a barefoot beach of white sand. Plenty of palms provide shade for the two hammocks and picnic table for casual beach dining. 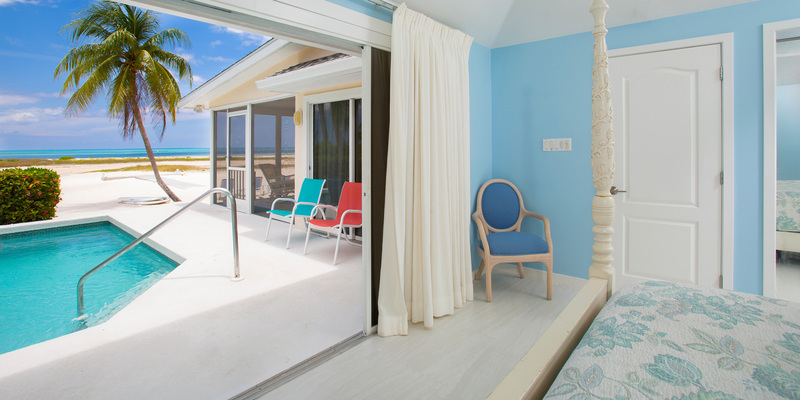 The house is also set up to capture a trade-wind breeze from all three of its oceanfront screened porches. 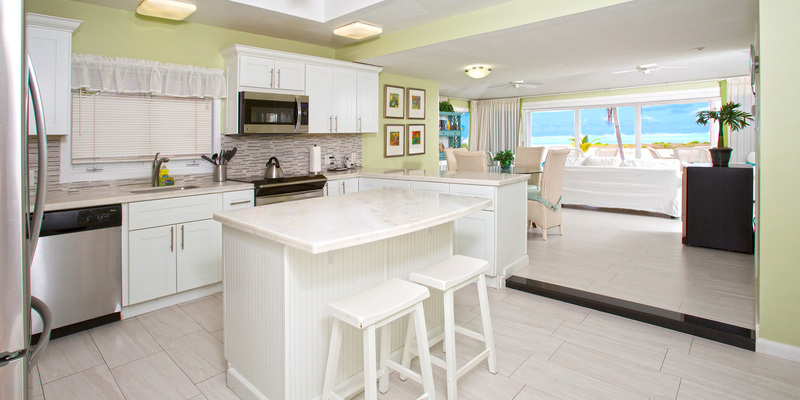 The open floor plan features cool tile floors, airy architecture, and plenty of windows to make the home feel like the quintessential beach house experience. Indoor and outdoor dining! A table in the living area seats 6, while the table on the screened porch seats 4. Comfortably sleeps up to 10 people. Perfect for two families or one large family. 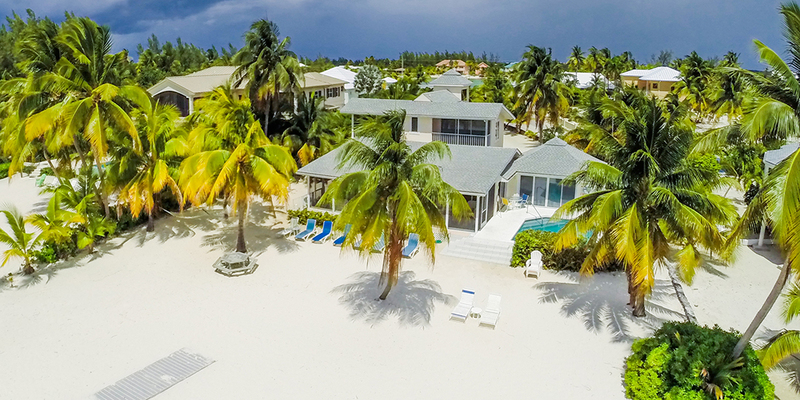 The homes on the sound front in Cayman Kai offer the best beaches as they don’t have as much marine and plant life trying to make a home in the shallows. The beaches usually are soft white sand. The homes facing west offer barefoot swimming and shallow calm water. 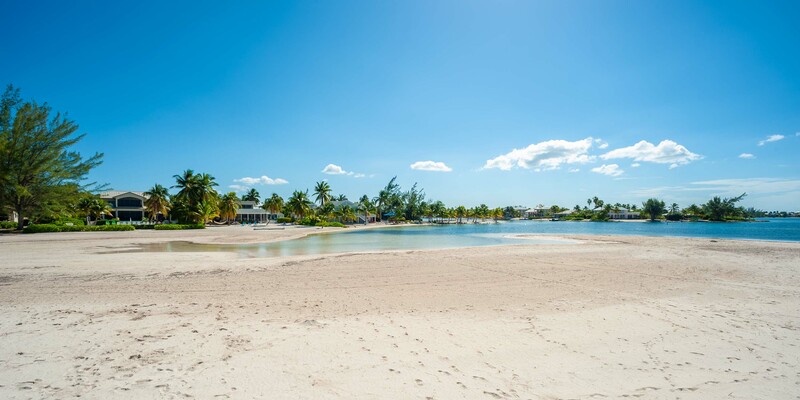 The sunsets are also wonderful, but the big draw to this area is the proximity to the Rum Point Club, a public beach club that offers a fantastic barefoot beach, many watersports, a restaurant bar & grill, a gift shop and pick-up beach volleyball games. Also near Rum Point is the Kaibo Yacht Club restaurant, bar and marina. Lastly, about 20 minutes east we have 2 large resorts (Morritt's The Reef) that offer manicured beaches as well as restaurants, a modern grocery store, liquor store, gift shops, a Subway sandwich shop, and a cafe/pastry shop. Our family, consisting of three generations, could not have been more thrilled with Two Rainbows and the outstanding service provided by Scott at Grand Cayman Villas. 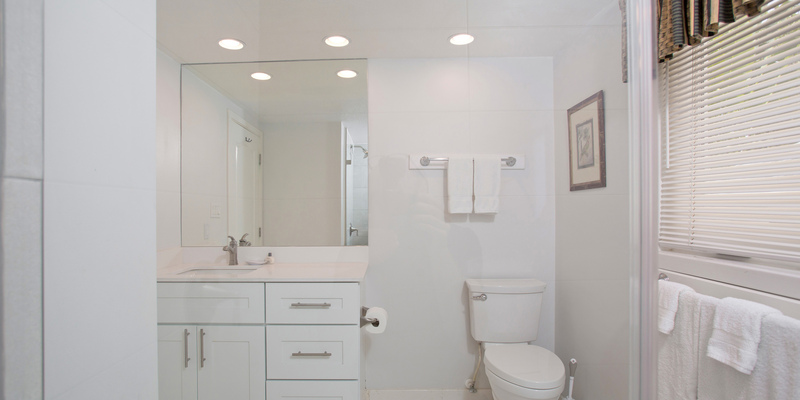 The house was perfectly laid out and comfortable with excellent amenities and features. The beach was the nicest I\'ve stayed at: velvet soft , wide, and white sand with gorgeous calm sea waters. All of the suggestions from Scott, from rentals to grocery delivery to restaurants were wonderful. Thank you for a glorious stay. We loved the view from the living room and the extra space of the screen porch. We cooked all our meals at home. The kitchen supplied every gadget necessary for easy preparing and cooking. The snorkeling was amazing and we just walked to the rum point restaurant and swam to the reef. We had to travel a ways for groceries but we planned accordingly and it worked out fine. The house gave everyone plenty of room and with 5 females room to get ready for the day or evening. The house was as shown on VRBO, TV in every room, WiFi worked well. Lots of room on the screened porches plus plenty on chairs outside or relax in the hammocks. Rum Point is the quiet side but still plenty to do. The staff at Rum Point very friendly and gave us free ice when needed. Silver Thatch gave us snorkel gear, ice chest and Apple TV and answered any questions we had. If you want to eat in the kitchen had everything we needed. If you want to go out there are restaurants near by that we found very good. Our granddaughter is gluen free and restaurants were aware and helpful. We would return to Two Rainbows on our next visit. House next door rents for a lot more, this is. Great value! The house was as shown in the pictureson VRBO. We had a family group 6 adults and 2 children. The house gave everyone plenary of room for privacy or group dinners. Plenty of seating in the screened porch and outside on the sand, also two relaxing hamics. SilverThatch was very helpful with snorkel gear, cooler and Apple TV. Sunsets are straight out and most nights beautiful. The only thing to note is the air and water temp is the same, don’t know if you are wet. A must is stingray city, with boats leaving from Rum Point a short walk away. This was our 9th year in Grand Cayman. 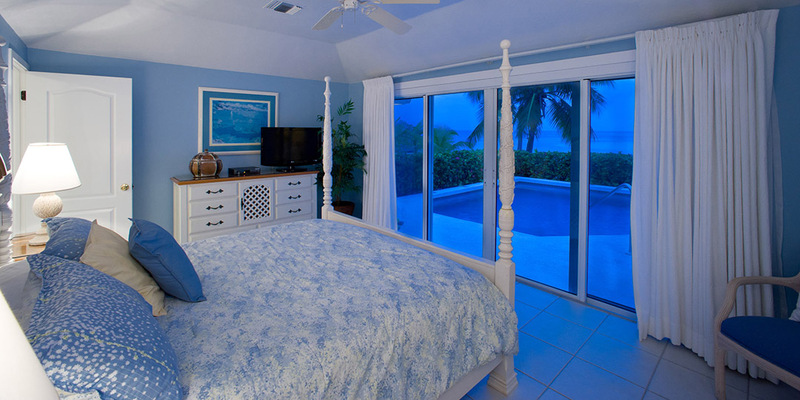 We always stay at a Grand Cayman Villa property. Every year has been a total delight. 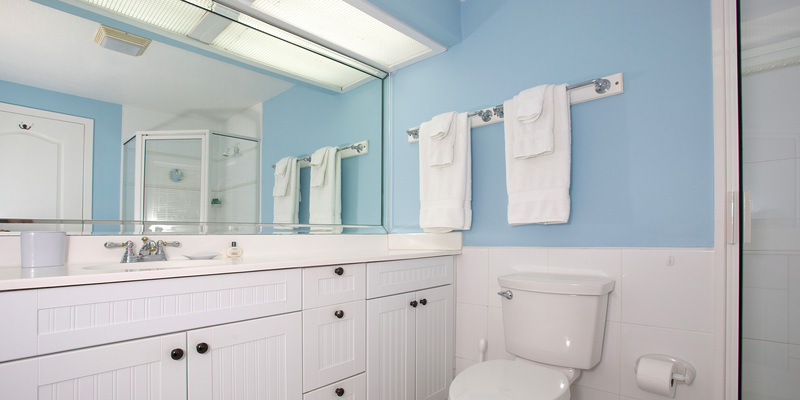 The properties are beautiful, clean and always amazing. The staff and property managers are so professional and friendly. Always available to assist you with anything you need. Already looking forward to our tenth year. Thank you Larry! We love having you! See you next time! We traveled to Grand Caymans to celebrate our 25th anniversary. 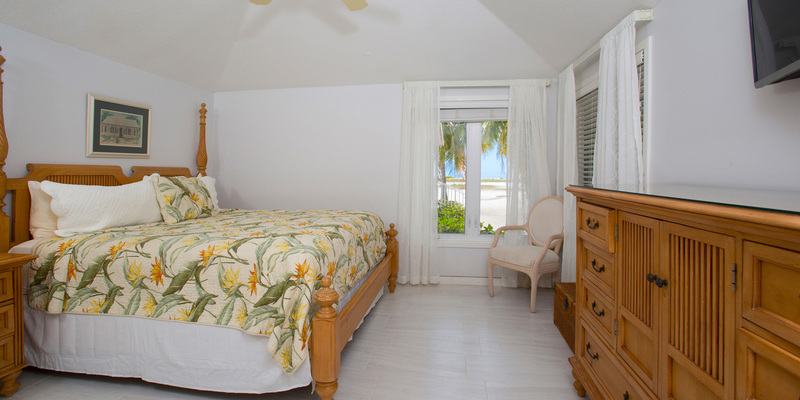 And we wanted to return to the Rum Point area and stay at a once in a lifetime vacation home. And we were not disappointed. Two Rainbows was beautiful. From the moment we walked in and saw the spectacular Caribbean Sea outside the backdoor, we knew we had made the right choice. 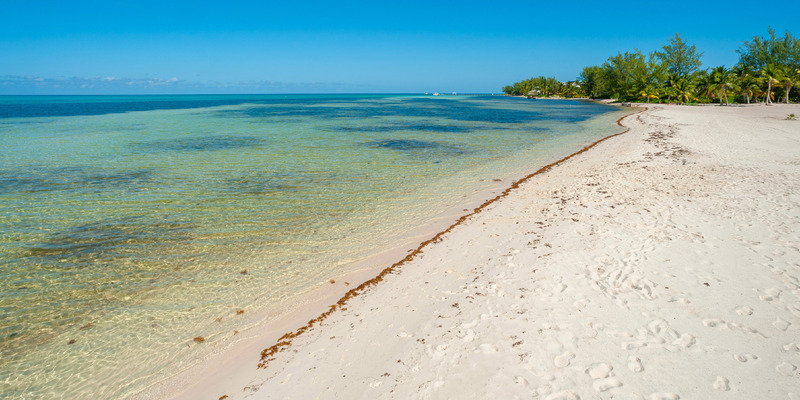 We loved walking the beautiful white sandy beach on both sides of the property--walking left to the Sound and right all the way down to Rum Point. The home was perfect for our 7 day stay--from the comfortable furniture, the great kitchen, the comfy couches where we chilled after each long day, to the swimming pool--which was great to dip into after paddle boarding, biking (thanks to the rental service), and swimming in the Caribbean. 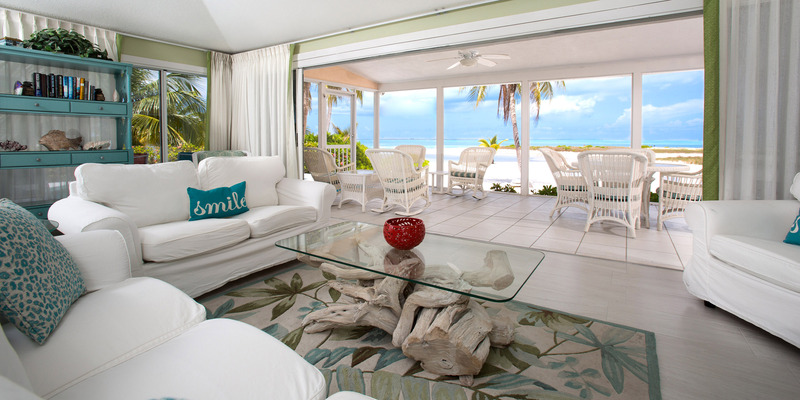 The service provided by Grand Cayman Villas before and during our trip was fantastic. We hope to return again someday soon. We plan to book for hopefully the same week next year- what a fantastic lil paradise for a family!!! Thankyou for a wonderful stay!! 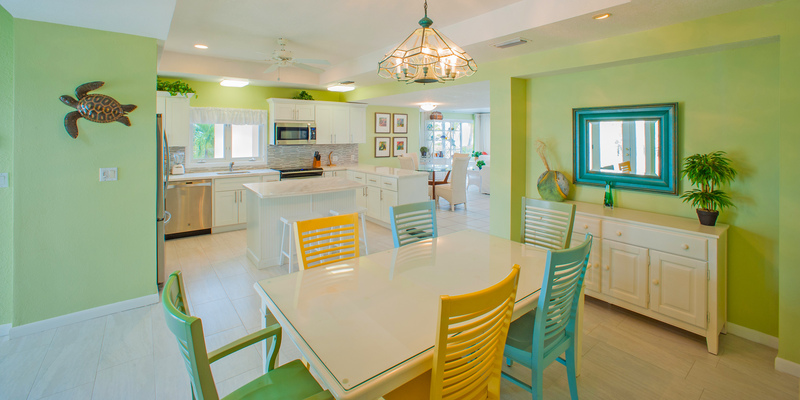 Spectacular property with your own private, white sand beach and pool! Sunsets are amazing. You\'ll see orange starfish and stingrays in the waters. We had two families of four and were very comfortable. Plenty of room for meals, socializing or spreading out. It was very clean when we arrived and that was at the end of the high season! The booking process was very easy and the property company responded on the same day to any inquiries we had. You can take advantage of Rum Point--a short 5 minute walk away--Wreck Bar is fun; kids (16+) rented wave runners from Red Sail Sports and had a blast, Treasure Cove is a very nice gift shop. We never ate out because the kitchen has all the amenities you would ever need. If you do want to cook, you need to plan in advance since the nearest full service grocery store is 35 minutes away. Chisholm\'s (10 minutes away) can get you by in a pinch and he\'s open on Sunday. We took advantage of Cayman Shoppers to get us stocked--Eddie was great and got us exactly what we wanted. We went to Kaibo Yacht club (10 minute car drive) and took a Stingray City and snorkeling excursion with White Sand Water Sports--ask for Captain Chris (father of the owner)...he\'s great. The only issue we had was the TV broke--yes, it\'s an issue during March Madness (for US) and when you have 16 year old kids...much too our surprise, it was replaced in less than 2 days...great responsiveness!!!! Thank you. If you want to avoid the crowds of 7 mile beach and Georgetown, this secluded slice of Paradise on Rum Point is where you want to be. Two Rainbows was great! The view was absolutely amazing, literally steps from the water. The big bonus about the house is the pool. Many times, we cooled off in the pool despite the ocean being a few steps away. This house does not want for anything as far as the kitchen or amenities. There were plenty of quality chaise lounges outside and plenty of seating on the covered lanai too. The central A/C was perfect and the beds comfortable. Even though there are houses on each side, this location is private. The younger people in our group enjoyed the 2 hammocks outside very much. Great layout for families. We sat outside looking for constellations long after the sun went down. It\'s quiet and peaceful and the water ripe for exploring baby stingrays, blue crabs, conch and starfish a few steps into the water. Beautiful home and setting. One thing I wish was available to our family were kayaks. 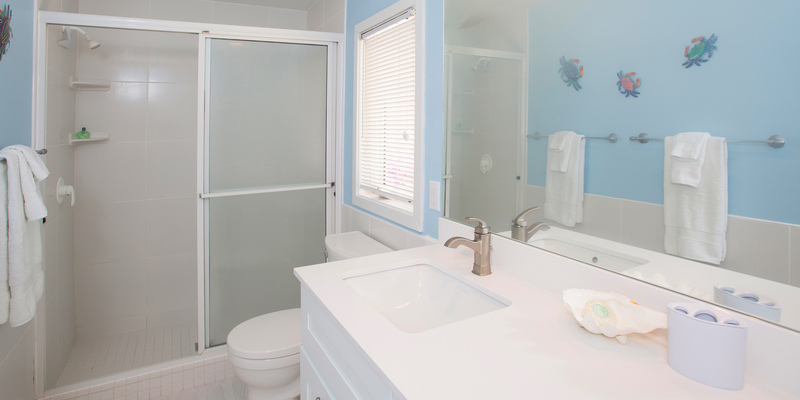 We noticed the two neighboring rentals both provided such. It is such a perfect location for paddling around. It is a perfect area to paddle around. We have two companies that deliver to Two Rainbows on day of arrival and pick up on day of departure. Their kayaks are in top condition as well. It is tough to monitior condition of kayaks - they get old and break, and disappear when guests leave them out by the water. Many of our owners have opted to not offer kayaks with the rentals in an effort to keep rental rated down. We hope you enjoyed your stay otherwise. This will be our third year renting Two Rainbows. 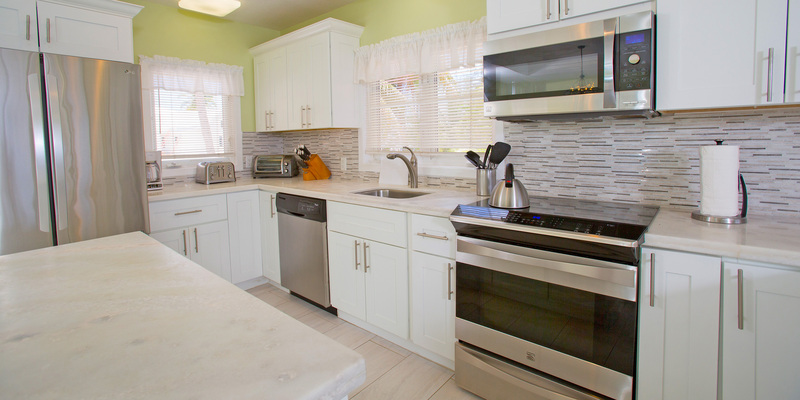 The villa is really comfortable with a very well-equipped kitchen and wonderful porch. We have grandkids that visit and the big beach and shallow water are perfect, plus the added bonus of a pool. It is quiet at this end of the street yet close enough to walk to Rum Point. The sunsets are amazing! The villa is extremely clean and the villa manager, Roy, is there to help with any questions or problems. It is a real gem on Cayman Kai! Our family had outgrown our previous home rental, so we decided to try Two Rainbows! We loved it! 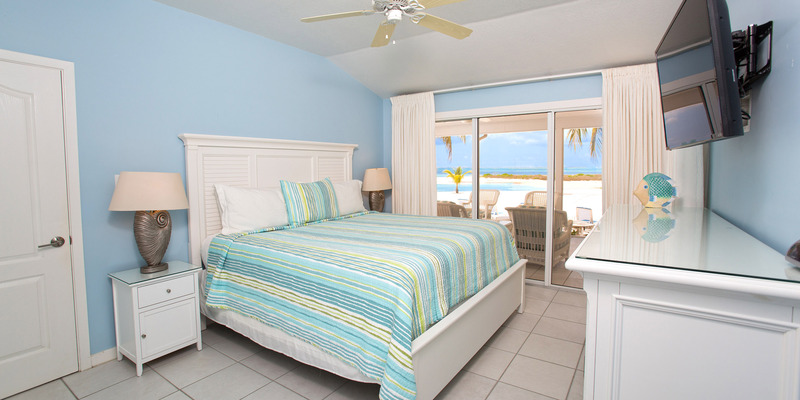 Great layout, great amenities, beach is awesome and spacious. Screened in porch was constantly in use! We are coming back again next year! Two Rainbows is a perfect place. We have stayed at numerous properties on the North Side - but this is the property we will return to. Our family of 4 children ages 6-18, one set of grandparents, and an extra friend, had plenty of room to shower and sleep. We spent mornings and evenings on the back deck. We walked and kayaked to Rum Point with the children. The beach is just beautiful. Spent one afternoon sitting in the shallow water for hours. Beautiful setting. Great home. We had a small family reunion at Two Rainbows and celebrated my parents 50th wedding anniversary. It was a very special time and I can tell you, Two Rainbows, was a very special place. It was a vacation we will always remember and talk about for years to come. 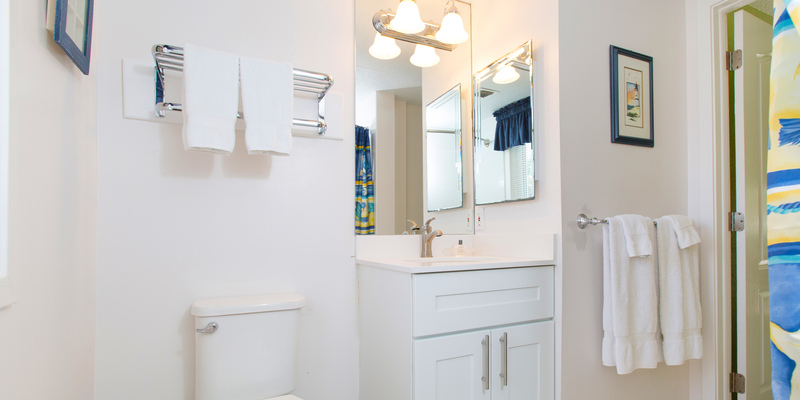 I would give the home, the staff and all of its amenities easily a 5 star rating. The mobile App we were provided prior to arrival gave us all of the information to be prepared for the trip and made our time in Grand Cayman so enjoyable. We cannot wait to return! We have been to Cayman 6 times and this trip was the best. After a couple of years staying on 7 Mile we are now firmly committed to Rum Point and Kaibo. Two Rainbows was our third house in this area and was perfect for us. House was clean and well appointed. The layout is good for a family and the views are hard to beat. The pool is a little small but with the great beach it hardly matters. Most houses we have rented have had a few necessities left behind, spices, coffee filters, sugar etc. We didn\'t buy those things on the way in from the airport.. This house was completely \"cleaned out\" , so the Sunday morning coffee was brewed through a paper towel. The beach is great and you can take a good walk. We chartered our snorkel trips with Grand Cayman Charters and they are great. Third year using them. Dave pulled the boat up on the beach at the house and we were out to Stingray City before the cruise ship passengers were even awake. We enjoy the quite side of the island and our teenage boys have free rein to wander. We have a set rotation of restraunts on that side of the island. We love the Lighthouse and they remember us from year to year. Tuka is great and has lots of good choices. Also enjoy Bombay Chopsticks for Indian oriental fusion. Make a stop at Kurts corner for some authentic island food. Great curried goat and ox tail. We tried to rent Two Rainows again for this spring, but it is already booked. 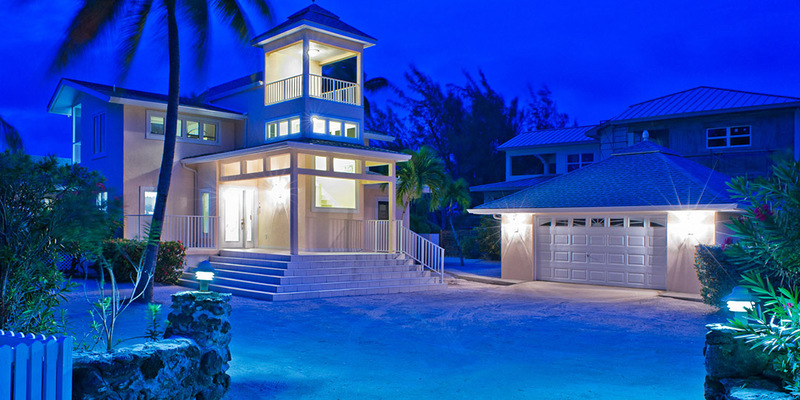 After consulting with Grand Cayman Villas we booked a very large home next to Rum Point. Looking forward to March. We enjoyed the location, although the beach was not really suitable for adult swimming - too shallow. Lovely house, well equipped, except for laundry requirements - expected us to start a load of towels on our departure but no soap provided. 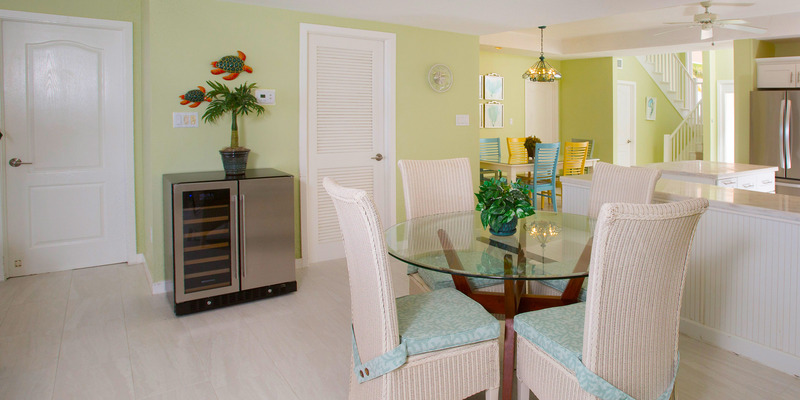 Thanks for the 4 star rating...this home is one of our most popular villas; exactly due to the barefoot, white sand beach and shallow calm water facing west for excellent sunsets. 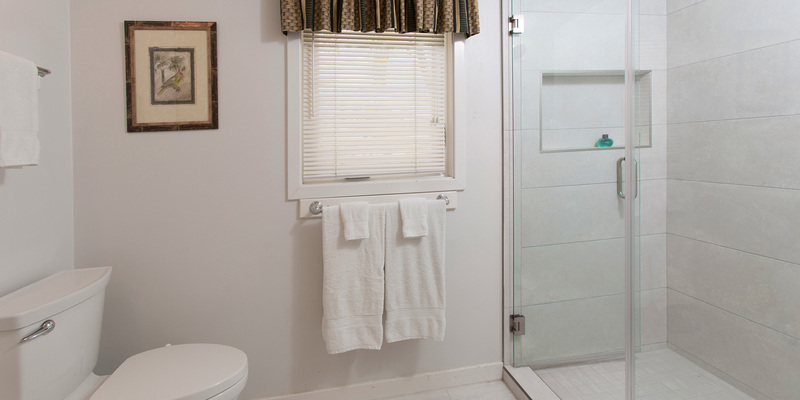 In our list of check-out procedures; we only suggest that "...if you can start a load of towels before you leave, the maids would appreciate it"... meaning no expectation to do so. 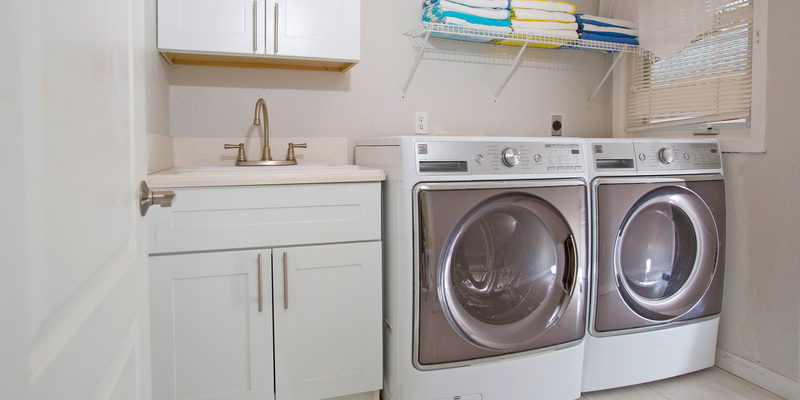 These homes are all self-catering and the owners provide a starter supply of paper products as well as soaps... your party must not have done any laundry during your stay; and that is okay! You are on vacation! Our stay at Two Rainbows was our fourth visit to Grand Cayman. Check-in was absolutely painless. We had great instructions and were able to walk right in a get settled in a matter of a few minutes. 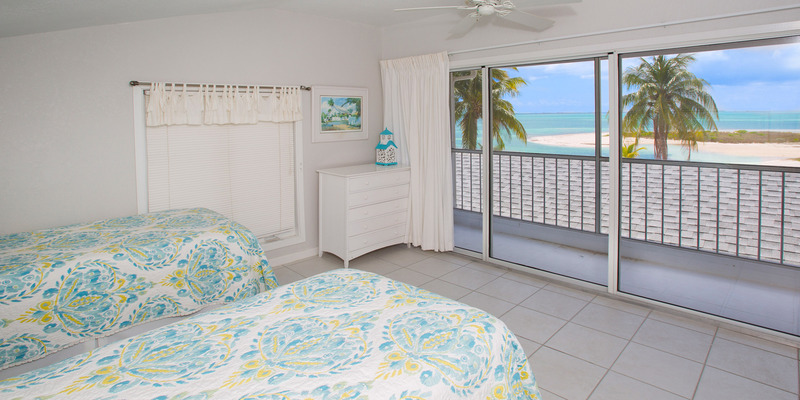 Having previously stayed on Seven Mile beach and the North Side, we can say that it is our favorite location so far. If you want seclusion, peace and quiet, this is the place. If you want convenience to Georgetown and the action, this is not for you. We are used to driving a half an hour to get fuel or groceries, so it was no issue for us. 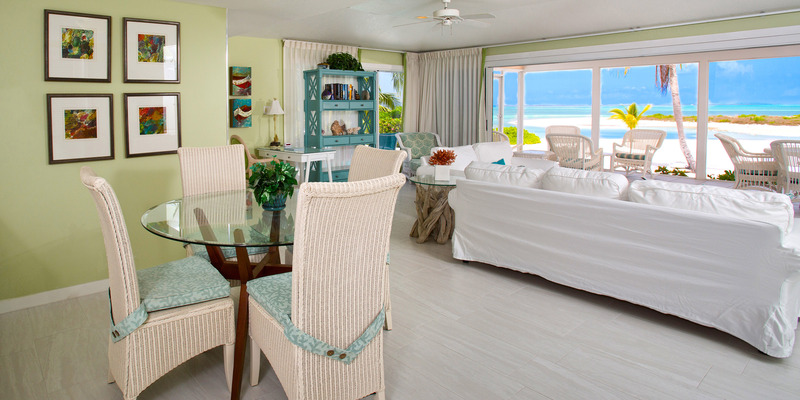 If you visit in the winter, this villa is located out of the Christmas Wind that is prevalent on the North Side, which makes it much nicer to spend time on the beach. Speaking of which, the beach was clean and the water smooth. Snorkeling is limited and the swimming is less than ideal as there is a fair amount of grass in the shallows in front of the house, but if you feel like venturing out a bit farther there is some nice water to be had. The currents have washed quite a bit of sand around the point so the beach out front is quite wide and the water shallow. Kids will love it. We loved the screened in porch which allowed the breeze through, but not the bugs. The pool was small but adequate for a refreshing dip. The house was clean, roomy and well appointed with the exception of no stereo or outdoor speakers for music. We really missed that! There are several steps to get in or out of the house at every exit, so consider that for anyone in your group that has a problem with steps. 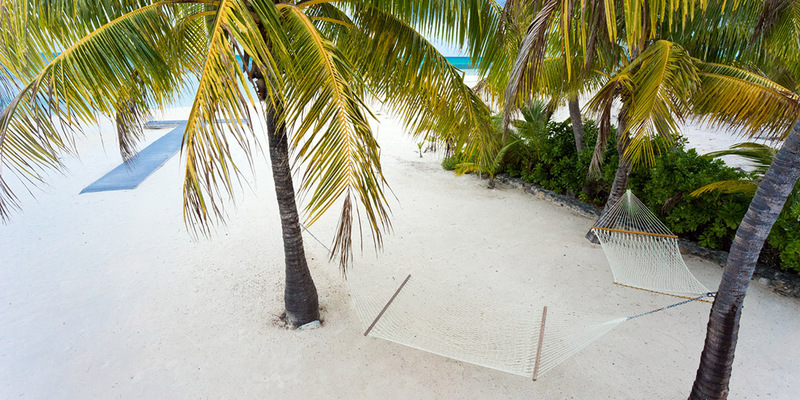 Two hammocks are perfectly positioned and made for "naps with a view." A kayak or two would enhance the water experience since it is so calm in the bay. It is so convenient to Rum Point your will probably go there every day. The food there is exceptional. Overall, Two Rainbows is a really good value and a great place for a quiet beach get-away. We would recommend it to anyone who looking for laid back seclusion. 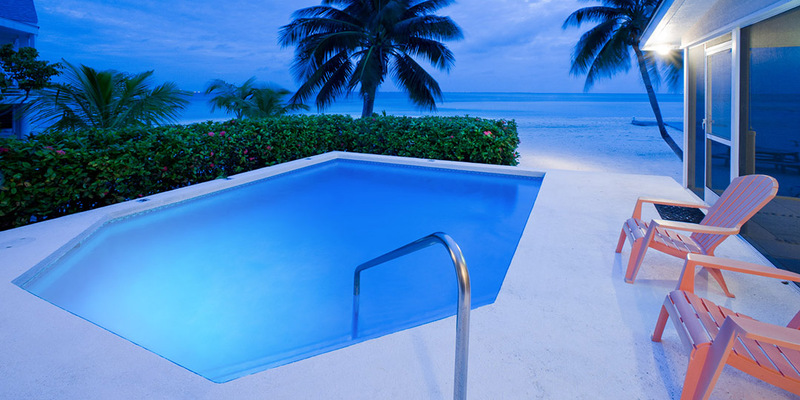 We stayed at Cayman - Rum Point two years ago in a different villa...just as beautiful but incredibly windy. Two Rainbows is tucked away around the bend and it made all the difference in the world. We enjoyed our private beach without the bothersome wind. We are two families, with 5 kids under the age of 12, and we had the beach right at our own back door, without having to walk down a walkway, shallow smooth water, walking distance to Rum Points restaurant/bars/shops. We could sit on the back porch and watch the kids play - unlike others where the porch is elevated and you do not have a clear view of the beach. The villa accommodated us perfectly. Our best spring break trip yet...!